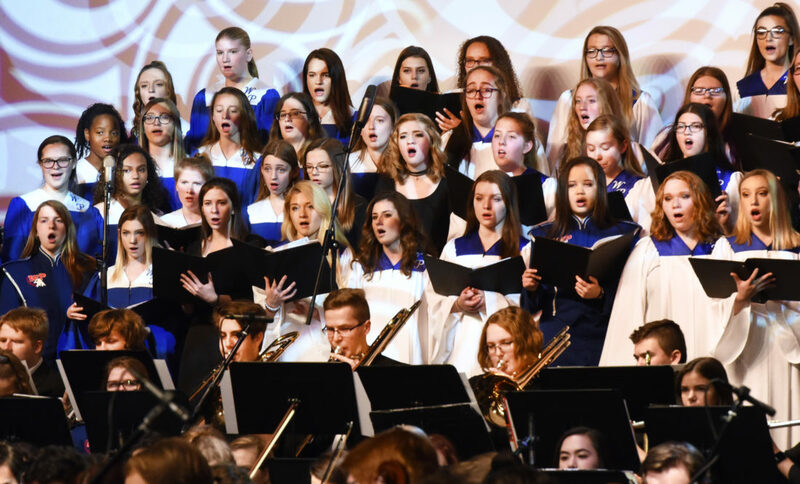 With hundreds in attendance, the Wheeling Park High School music department presented Festival of Sound 2018 on Friday evening at the high school’s J.B. Chambers Performing Arts Center. Members of the Patriot String Orchestra perform one of many holiday selections. The popular holiday event continues this weekend with additional performances at 7 p.m. tonight and 2 p.m. Sunday.